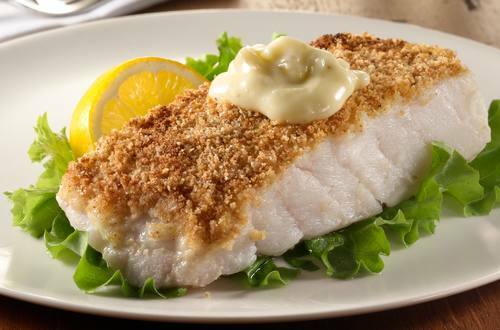 1 Arrange fillets on greased baking sheet; evenly spread with Hellmann's® or Best Foods® Tartar Sauce. Combine bread crumbs with salt, then sprinkle over fillets. 2 Broil until cod flakes with a fork, about 5 minutes. Serve, if desired, with additional Tartar Sauce.